Jackie Chan is an international action star. Famously, Chan does his own stunts. And the man has the broken bones to prove it. Below, you can find translations of the injury list, starting with Chan’s eyebrow and going counterclockwise. 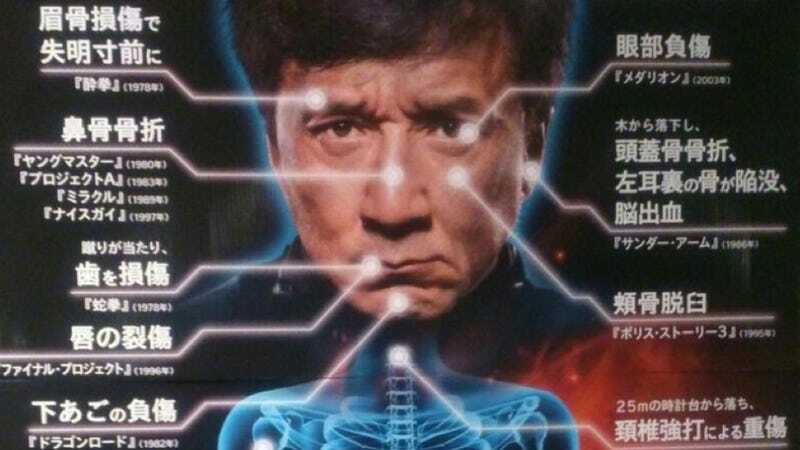 If you want to know more about Jackie Chan’s injuries (and why wouldn’t you? ), here’s a handy round-up. This article was originally published on March 28, 2013.